Access to 26 Bus Stops across Budapest. Create your own itinerary to explore the city. 24/48h Unlimited Hop-on Hop-off Bus Tour with 360° panoramic views of Budapest's main landmarks. Free Walking Tour & Bike Tour in Várkert Bazár. Coupon booklet included for various attractions. There are lots of things to do in Budapest! 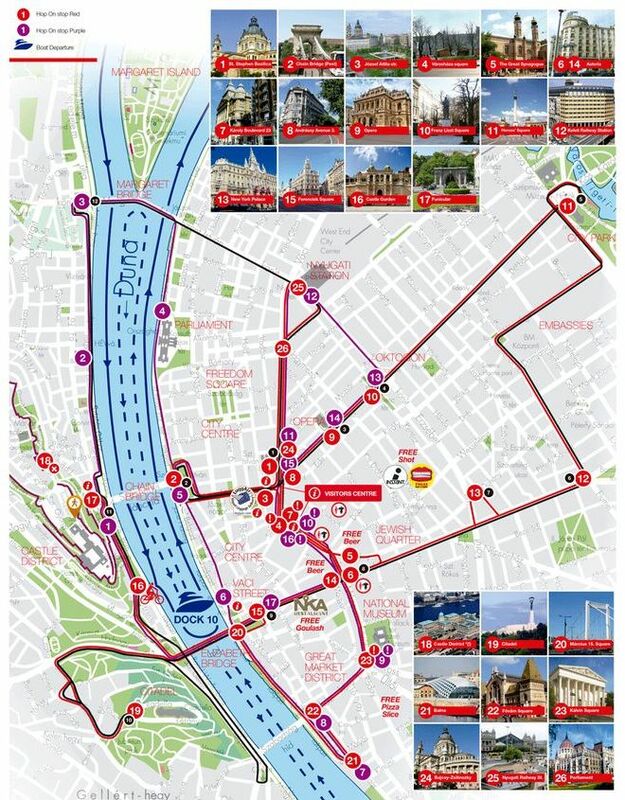 With City Sightseeing, you get to visit the main landmarks across 26 strategically located Bus Stops. Hop-on and off as many times as you wish to take the tour at your own pace. Enjoy the view of the Gothic Revival façade of the Hungarian Parliament Building or the Buda Castle from our open-top buses. Explore the Citadel and Jewish Synagogue, and be astonished by the panoramic views of the imperial city. Hop-off at the Jewish Museum and Synagogue on Dohány Street, or stay on the bus and enjoy our audio guide in multiple languages full of interesting facts. Sightseeing the city from our double-decker buses is comfortable and dynamic. Just hop-off every time you spot something you would like to explore further and then hop back on! The famous Chain Bridge calls your attention? Hop-off and take a stroll! Walk across from Buda to Pest across the Danube River. Are you into Funiculars? The Hop-off at the famous Budapest Castle Hill Funicular and enjoy the experience! Our exclusive red buses are always waiting for you to hop back on to continue with your sightseeing. The duration of the tour is 2 hours and 20 mins. Frequency is every 30 minutes. The route map for the entire bus tour can be found here. Coupon Booklet including: free goulash, free beer, free shot, free souvenir, and many discounted entrance tickets to attractions. Child from 8 - 18. If you are over the age of 16 you will be asked to present a student ID Card. Infants are ages 0-7. Great Hop on hop off tour.